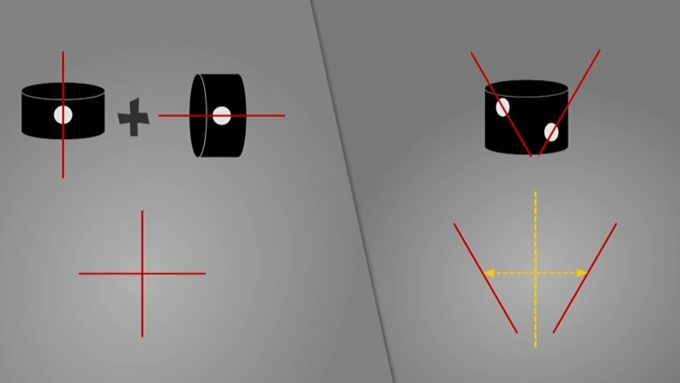 Valve is continuing to improve upon the design of the ‘Lighthouse’ Base Stations, the laser-beacons that form a crucial part of the SteamVR Tracking system. Future iterations are expected to become dramatically simplified, reducing size, noise, and perhaps most importantly, cost. VR is awesome, but it’s still expensive. Until costs come down significantly, the sort of experience you can get from the HTC Vive isn’t likely to see mainstream consumer usage on the scale of the smartphone. But, just like the smartphone, it’s likely that we’ll see significant reductions in price as the market and the devices mature. One step toward getting there is making the tracking technology less expensive. Valve’s SteamVR Tracking (AKA Lighthouse), which is employed by the HTC Vive, relies on a pair of laser-beacons called Base Stations. Each Base Station houses motors, lasers, LEDs, and an array of electronics to control it all. Judging by the $134 cost of a replacement Base Station on the Vive’s accessory page, the component may be the single most expensive part of the Vive system beyond the headset—and you need two of them. So it makes sense that Valve is focusing a lot of attention on continuing to hone the Base Station design into something that’s more simple and affordable. 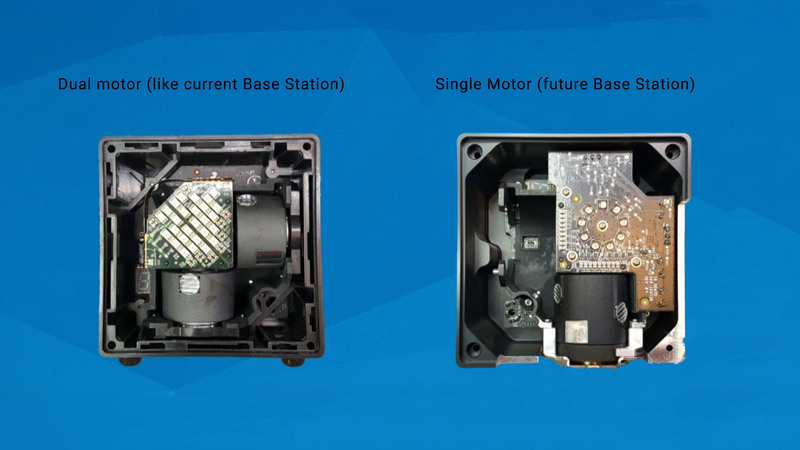 At Steam Dev Days last month, the company showed a glimpse into the future of the Base Station, including a design insight that could dramatically reduce the cost. Each current Base Station uses two motors to sweep laser lines across the tracked space; one line sweeps along the X axis and the other line sweeps along the Y axis, allowing independent tracking of each direction. Each motor also needs its own laser diode, optics, motor controller, wheel assembly, etc. But, as Valve Engineer Ben Jackson pointed out at Steam Dev Days last month, it’s actually possible to get X and Y axis information from a single spinning motor. The key insight is generating a ‘V’ shaped pattern with two lines from the same motor, instead of one axial line per motor. Reid Wender of Triad Semiconductor, who has been working with Valve on SteamVR Tracking since 2014, says he expects the system will see “rapid cost reductions” due to changes like this. 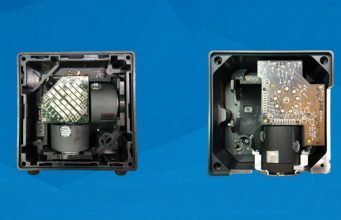 Chopping out half the parts will definitely have a dramatic impact on component and manufacturing costs, but Wender points out that a more simple system, with a single motor instead of two, is easier to calibrate and also likely to be more reliable, which could further reduce support costs. In the same presentation at Steam Dev Days, Jackson also highlighted the new custom made SteamVR Tracking chip that Triad is producing for Valve, another cost-saving move that could even increase the system’s tracking performance. The current cost of the HTC Vive is $800, and it includes the headset, two Base Stations, and two controllers (I’ve tossed out a few of the smaller pieces like the Link Box for the sake of this guestimate). Just going by known prices on the Vive’s accessories page (which are almost certainly more than the out-of-the-box cost), the Base Stations contribute $270 and the controllers $260, leaving $320 for the headset itself (again, that’s probably far off, but we’re more interested in the relative figures. Halving the cost of the Base Stations would bring their contribution down to $135, reducing the entire package to $665, about 17% less than the current price. Once more, this is a very imprecise guess, but the point remains that, if the Base Station is the biggest cost to the system aside from the headset (which stands to reason from the present cost on the Vive accessories page), smarter Base Station design could make a big dent in the overall cost of the system, and that’s before considering any other improvements like Triad’s new SteamVR Tracking chip, and more optimizations that are surely in the works. A big question arises however: Would Valve and HTC put new, cheaper base stations into the existing Vive package, or wait until the launch of an entirely new headset? For now, only time will tell. The post Next-gen Lighthouse Base Station Could Bring “rapid cost reductions” appeared first on Road to VR.